One of the greatest challenges facing humanity in the 21st century is the destruction of the natural environment. Researchers have found that environmental change over the last 60 years is happening at a rate unseen in the past 10 000 years. Human-driven climate change, the loss of biosphere integrity, land system change, and the high amounts of biochemicals flowing into oceans due to fertilizer use are said to have reached an unsafe level. With these problems in mind, environmental conservation has become a hot topic in modern society. Nevertheless, this concept has been around for a much longer period of time, and can even be found in Sanskrit texts from ancient India. 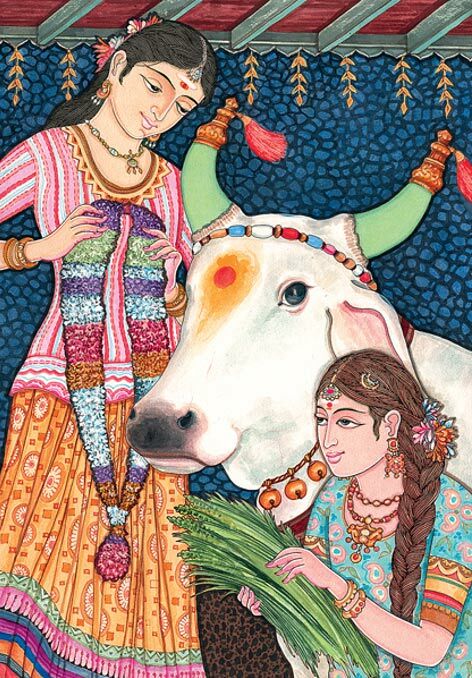 Lessons about environmental conservation can be found within the teachings of Hinduism. Adherents of this religion believe, for instance, that the environment is made up of five great elements – space, air, fire, water, and earth. The human body is also composed of and is related to these elements. Additionally, each of the five senses is connected to one of the five elements. The link between the senses and the elements forms the basis for the bond between human beings and the natural world. Therefore, in the teachings of the Hindu faith, it is believed that the environment is not an external entity, but an intrinsic, inseparable part of human existence, as they constitute the human body. With this belief in mind, one may better understand the idea of protecting the environment as part of Dharma. The word Dharma has been translated as ‘duty’, ‘virtue’, ‘cosmic order’, and even ‘religion’. It has been pointed out that in the past, Indian communities did not view religion, ethics, and the environment as separate aspects of life, instead there was interconnectedness between the elements - much like the way they viewed the relationship between human beings and the natural world. For example, the Bishnois protected animals and trees, the Swadhyayis built Vrikshamandiras (tree temples) and Nirmal Nirs (water harvesting sites) and the Bhils practiced their rituals in sacred groves. Rather than seeing their actions as ‘restoring the environment’, these communities understood that they were expressing reverence for the environment in accordance with the teachings of Hinduism. A more ‘active’ form of environmental conservation may be found in an important Sanskrit code of law known as the Manu Samhita . It is stated in the Manu Samhita that the protection of animals is one of the duties of a king. In the text, various offences against animals and the respective punishments are also listed. For example, if a person wounds an animal, the offender would be required to bear the cost of the treatment. If a noble animal (e.g. a cow, an elephant, or a horse) is harmed, a fine would be imposed on the offender. Furthermore, protection is given to many animals that are sacred in Hinduism and the killing of certain animals, including cats, snakes, monkeys and various birds, is a sin, and is punishable. Protection is extended to plant life as well. As an example, the punishment for felling live trees for the construction of factories, dams, bridges, etc., or for the purpose of obtaining firewood is the condemnation of the offender as a degraded person. Hinduism, however, is not the only religion originating in India that promotes environmental conservation. This concept can also be found in the teachings of Buddhism. 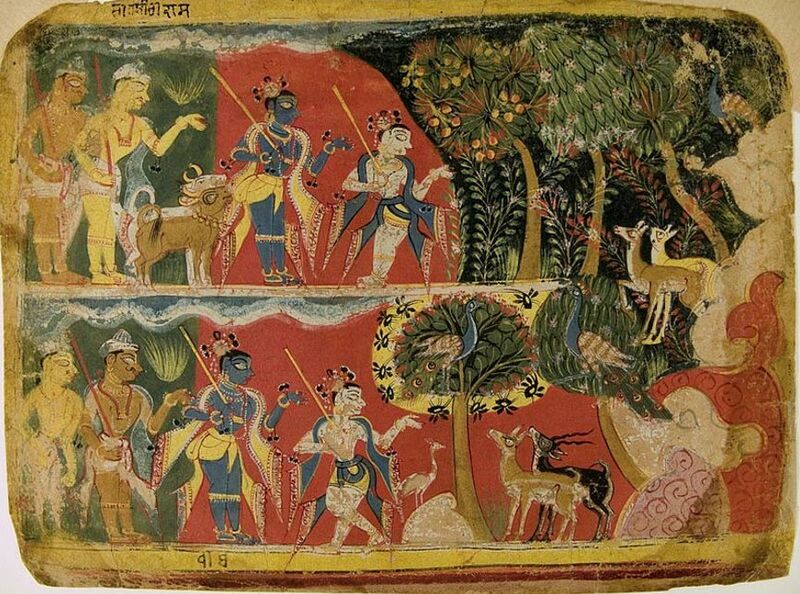 For example, the Sanskrit Jatakamala is a collection of tales regarding the past lives of the Buddha. 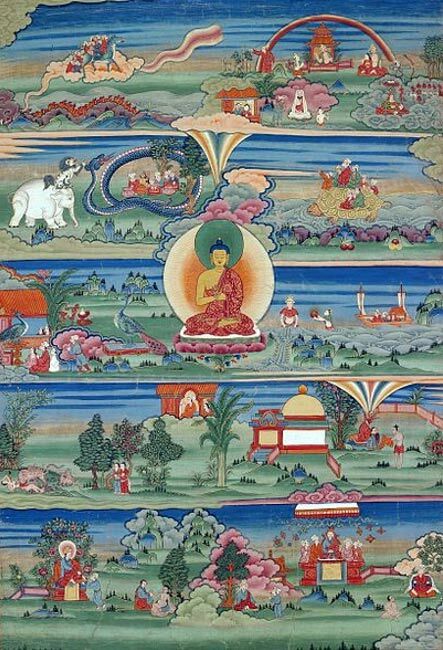 Of the 34 tales, the Buddha is reincarnated as an animal, a bird, or a fish a total of 14 times. As this belief in reincarnation suggests that human beings may be reborn as animals and vice versa , the Jatakamala reminds its readers that there is an inherent unity and continuity between the human beings and the animal kingdom. Thus, the message of respecting and revering the environment is once more echoed. These are some of the messages passed down from the ancient Indians regarding environmental and species conservation. Their message is one that human beings today ought to pay attention to. By viewing the natural world as an inseparable part of human existence, we may learn to treat it with more respect and reverence, and therefore begin to better protect it, rather than exploiting it to satisfy humanity’s seemingly insatiable desires. Read more about Humbaba: A Monstrous Foe for Gilgamesh or a Misunderstood Guardian?